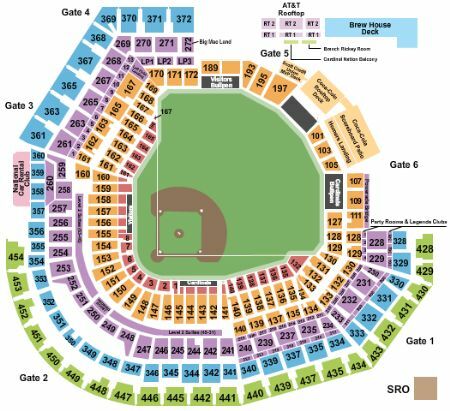 St. Louis Cardinals vs. Milwaukee Brewers Tickets - 4/23/2019 - Busch Stadium in St. Louis at Stub.com! Mobile Entry Tickets. Must have smart device on hand to enter event. Tickets will be ready for delivery by Apr 19, 2019. Does not include admission to event. Tickets will be ready for delivery by Apr 19, 2019. Mobile Entry Tickets. Must have smart device on hand to enter event. Do not print these tickets. Tickets will be ready for delivery by Apr 22, 2019. Drink Rail Seating. Mobile Entry Tickets. Must have smart device on hand to enter event. Do not print these tickets. Drink Rail Seating. VIP Area/Club/Lounge access included. First row in this section. VIP Area/Club/Lounge access included. XFER Mobile Entry. Scan your tickets from your mobile phone for this event. Do not print these tickets. Does not include admission to event. Tickets will be ready for delivery by Apr 22, 2019. Mobile Entry Tickets. Must have smart device on hand to enter event. Do not print these tickets. Includes unlimited food and drinks (beer, wine and soft drinks). Tickets will be ready for delivery by Apr 21, 2019. Mobile Entry Tickets. Must have smart device on hand to enter event. Do not print these tickets. These tickets are an Obstructed View and your view of the action and the stage/set/field will occasionally be blocked. Tickets will be ready for delivery by Apr 19, 2019.